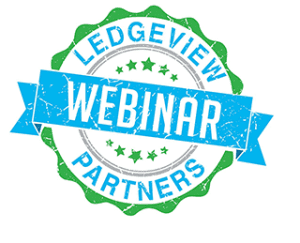 On a monthly basis, Ledgeview Partners holds free monthly user group webinars for users of Microsoft Dynamics 365/CRM. You do not need to be a customer of Ledgeview’s to take advantage of these but any user, administrator or developer of either Microsoft Dynamics 365 Online or CRM On-Premise are welcome. Actually, if you are not even a user (yet) and searching for a venue to learn more about Microsoft Dynamics 365/cRM, these webinars are a great monthly resource for you. As you can tell, we are huge advocates of Microsoft Dynamics and want to ensure all users, no matter your role within your organization is taking advantage of all the features that Dynamics has to offer. During these webinars we start by focusing an educational training on one aspect of Dynamics (see our focus points by month below) and then answer user submitted questions. As we look forward to 2017, this is a great time to reflect back on our 12 User Group Webinars from 2016. Each of these webinars are available on-demand so you can view the ones that interest you! Let us know what questions you have and your biggest CRM Challenge! 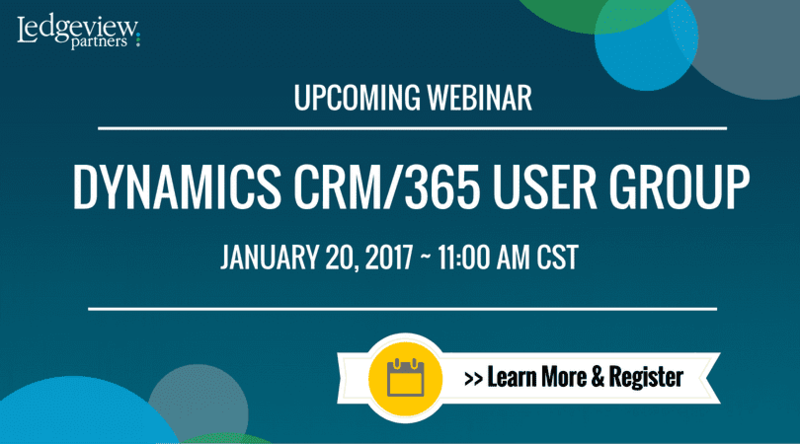 Join us on January 20, 2017 for our next live User Group Webinar. If you can’t make that date, don’t worry, it will be recorded and emailed right away to those that register.